9:30 AM ***9:45*** Gerry Gerry Call or check FB/INSTA to see what class/instructor we'll have that day. 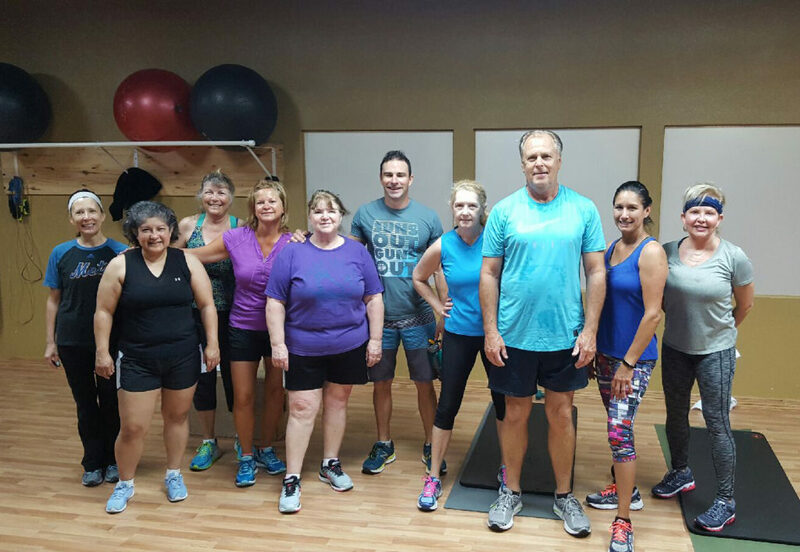 My approach is to provide my classes with safe and effective exercises that are safe and fun. I enjoy helping my classes learn exercises to maintain and increase fitness levels, depending on their personal goals and make this a part of their lifestyle. I am AFAA certified and have been a group exercise instructor for the past 20 years having taught a wide range of classes from step aerobics and sculpt to Pilates. I am originally from Houston TX, in 2013 my husband, son and I relocated to Richardson TX, then in 2015 finally relocated to Corpus Christi TX. For the past 20 years I have been in the insurance industry and was given the opportunity to work from home; this allowed me to pursue my passion in physical fitness by becoming a certified Yoga Instructor. I received my 200 hour Certification and 80 hour Yoga Anatomy, Modifications and Props Certification through Aura Wellness Center in 2017. Yoga is for everyone, regardless of your level of fitness. Yoga is not a competition it's a personal practice for each practitioner. Come join us and find out that you are capable of more than you think! At the age of four, my passion for fitness originated while doing fitness videos at home with my mom. As a young girl, I took traditional dance classes and ran cross country and track. During college, I began long distance running and ran several half marathons and one full marathon. After graduating, I taught third grade then began working at a women’s gym in Tempe, Arizona after the school year ended. There I pursued my passion for fitness by becoming a fitness class instructor, an assistant group fitness coordinator, and a fitness video principal for Christi Taylor. I immediately knew I had found my calling in helping others to become fit and confident. In October of 2011, I returned to my hometown of San Antonio, Texas where I continued to pursue my career in fitness as a personal trainer, fitness instructor, and general manager of a women’s gym. I made Corpus Christi my home at the end of 2015 and am excited to continue my personal training and fitness instruction career. I believe that every person deserves an opportunity to live a healthy and confident life. A healthy life consists of not just a strong, lean body gained through proper nutrition, strength training, and cardiovascular exercise, but also a sound mind and spirit. My mission is to build the pathways for individuals to make beneficial changes in their lives and to facilitate their overall well-being. Let’s begin your journey toward lasting wellness today! Kaeli, born in Honolulu, Hawaii grew up in Corpus Christi, Texas. First introduced to yoga in 2013 while getting B.S degree at The University of Texas at Austin in Health and Kinesiology. 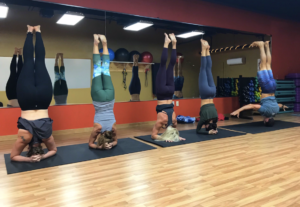 From then she was hooked on yoga and completed her 200 Hr Yoga alliance training with Michelle Acebo at The Yoga Studio of Corpus Christi, in December of 2017. Currently, she is continuing her education at TAMUCC for a Masters in Kinesiology. Some of her interests are cooking, painting, holistic healing, and supporting her community. Kaeli’s ultimate passion in life is to work with people of all ages and share with them the tools and knowledge she has learned to enhance their quality of life. Specifically, Kaeli has experienced physical, spiritual, and emotional benefits through yoga, from these experiences she chooses to share her practice with others.I received my 200 hour Certification and 80 hour Yoga Anatomy, Modifications and Props Certification through Aura Wellness Center in 2017. Yoga is for everyone, regardless of your level of fitness. Yoga is not a competition it's a personal practice for each practitioner. Come join us and find out that you are capable of more than you think!